Nashville, TN – January 24th 2013 – Pure Nintendo and AckkStudios are proud to announce the exclusive cover art for Pure Nintendo Magazine’s February issue. The cover showcases the amazing art created by the team at AckkStudios for their game entitled, Two Brothers. The February issue has an exclusive preview for Two Brothers on the Wii U as well as art and screenshots you won’t see anywhere else! The February issue of Pure Nintendo Magazine will be delivered to subscribers the first week of February. 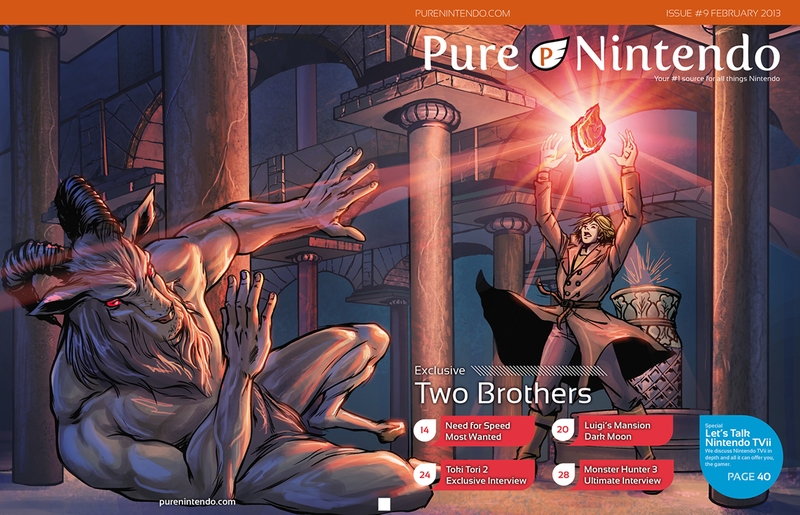 To subscribe to Pure Nintendo Magazine, visit http://purenintendomagazine.com/.